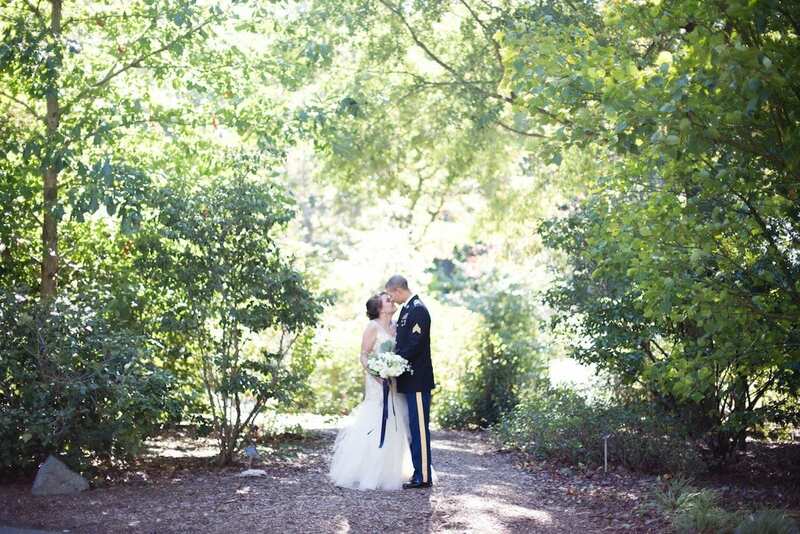 style was envisioned for this beautiful styled shoot. We wanted to give the “big wedding feel” but do it in an intimate way where the couple can focus on each other. We started the day off with an intimate ceremony space, then transitioned to the sweetheart table for dinner, and between some dancing and cake, they finish the day with a drink or two at the craft cocktail bar. scheme plays on the classic Parisian Wedding style with moodier and richer tones. With the industrial feel of the grand venue, we added feminine, delicate decor with rich florals that compliments the classic soft Parisian style but adds a modern, moody twist. The bride is wearing a wedding gown from Luxx Nova designed in Europe alongside handcrafted bridal accessories from Alyson Nicole hand crafted in Brooklyn, New York. Are part of the lure of a wedding. Yes, everyone is there to celebrate the love, but part of the fun is seeing everything put together and the individuality that comes with every couple. Styles range, but regardless of the theme checking out the flowers, tablescape, menu, and music are all wedding day details that your guests are excited to embrace and what they’ll leave remembering. Specifically speaking to the brides-to-be, this is your moment! It’s a time in your life when things are all about you babe! So, why not play the whole bridal experience up from the start by setting the bar early. A proper engagement announcement will make this whole thing feel real while also serving as the first chance to show off your new found bridal vibes. Schedule an engagement photo shoot and post those pictures everywhere! Make sure to get plenty of bling shots and incorporate your wedding style into your shoot through your outfits, scenery, and overall tone. If keeping things intimate is more your style, extend engagement party invitations to those closest to you and share the big news with only them. Word will spread that wedding bells are ringing, but until then keep the news privy to those closest to you. Once plans are underway vetting your vendors is mega important. Do your research before officially booking any vendor to ensure your wedding day is smooth sailing and everything you’ve been dreaming of. Ask other couples about their experiences, check wedding websites like The Knot and Wedding Wire for vendor recommendations and reviews, and even hop on wedding-related message boards for honest advice. 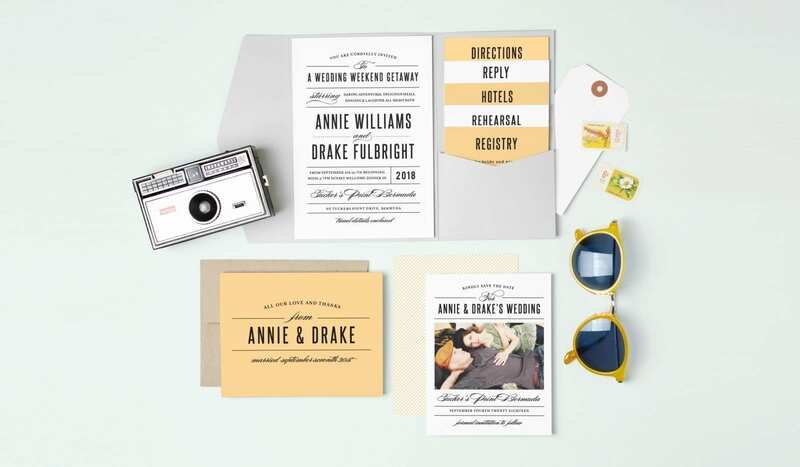 Invitations and stationery can be incorporated as early on as engagement announcement and can be utilized throughout the entire planning process. Sending out custom stationery for each festivity is another great way to set the bar early on. Showing off your style, potential wedding theme, and your wedding colors through invitations will give guests an idea of what to expect as far as décor and vibes. 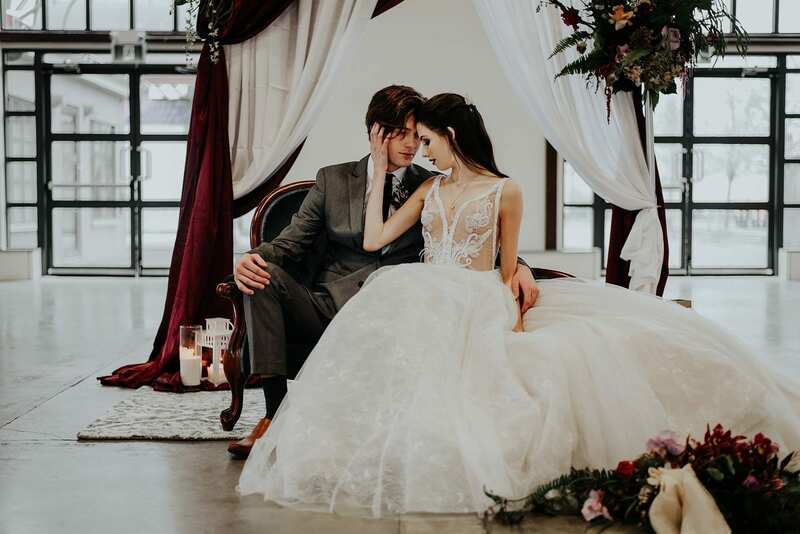 For all of you millennial brides use to sharing it all, there is a fine line between spoiling all of the surprises and keeping things a bit more private when it comes to the sacred union of marriage. Social media sneak peeks can be the perfect line to tow to engage your potential guests while also leaving a little room to the imagination. Snap shots of potential invitation designs and asks your followers to vote! Upload a boomerang at the bridal boutique, but be sure the gown you are wearing isn’t the one you chose! Set your wedding day details bar early by immersing yourself in all things wedding, but keep some of those day of details hush, hush to make your wedding one to remember! Throwing a bridal shower and want to make it a day the lovely couple will never forget? Fill the day with laughter and memories by playing these bridal shower games. These interactive and downloadable game cards will make the shower super exciting and enjoyable. Have some friendly competition, hand out prizes and earn some major brownie points with the bride. A game of who said it! Your guests will have a list of questions that either the bride or groom has said. The players will then guess who they think said the phrase. Guest with the most correct answers receives a prize. This game is not only fun but can help your guests mingle and get to know each other. Once receiving the game card, the players will have to hunt down any guest that meets the qualifications listed. This game can last throughout the entire party. At the end of the night, the guest that finds the most people, will win a prize. This friendly guessing game challenges the players to see who is really paying attention. Each guest will receive the downloadable bridal shower game card and will have to choose whether the phrase on the game card is “over” or “under” the number given. Send your guests on a wild goose chase to find the most rings hidden in the shower. The guest with the most rings at the end of the shower will go home with something special. The ultimate test of who really knows the bride. A list of questions will be given on the game card and the guests will have to answer based on their knowledge of the bride. Not only will they receive a prize, but will get the ultimate bragging rights. Nobody wants a dull bridal shower, spice it up and have your guest play these awesome bridal shower games! To make it easy for you, we’ve included a downloadable & printable version of the games. Each game card comes in a variety of colors to fit the theme of the shower. Make lasting memories and have a blast! What bride-to-be doesn’t want to look absolutely fabulous for her Bridal Shower? 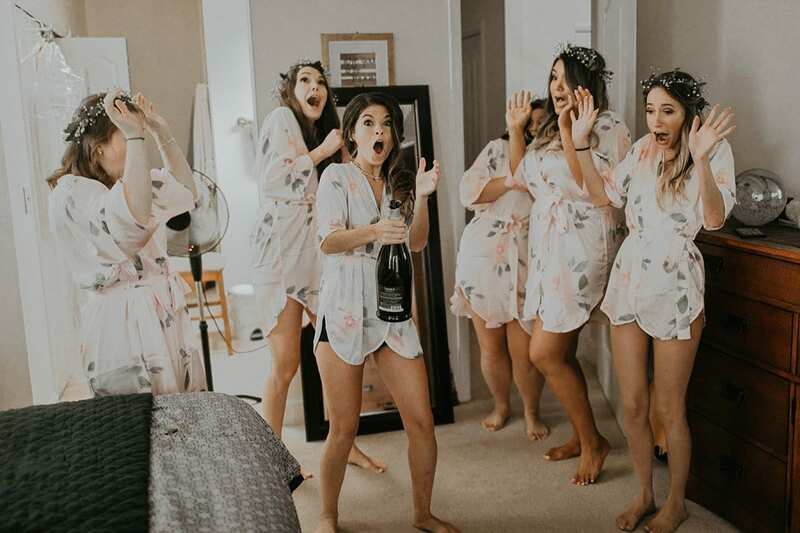 We know all brides have a million and one things to do as their special day gets closer, so these style tips and ideas on What to Wear for Your Bridal Shower will make life much easier. The bride should definitely stand out. It is typical to be the only one wearing white, but based on your style and personality, I say spice up the white with amazing accessories and pops of color. Really cannot decide what to wear for your bridal shower? You can never go wrong with the perfect white dress and an eye-catching shoe. Emeralds, blues, and yellows can really make a simple white dress stand out. Have fun with it and add a little color to your day! When accessorizing this look, simple but elegant pieces are a must. If your shoes are going to be the pop of color, delicate accessories will pull the entire ensemble together. The Christina sash will add just the right amount of bling to the Bardot Lace-Inset Ruffled Dress from Bloomingdale’s. Pull the ensemble together with feathered earrings and a subtle tiara. To match the gold tones of your accessories, a yellow sandal with a chunky heel is perfect for an outdoor bridal shower. If you’re going for a more editorial look, asymmetrical shapes and colors are definitely in. A high fashion jumpsuit, a unique mini with bold colors, will have all your guests in awe. To complete this kind of outfit, eye-popping accessories are the way to go. Choose a bold belt, dramatic earrings, a statement necklace or even a fabulous crown. This bold pixy from Neiman Marcus paired with the Lia layered necklace and gold hairpins turn traditional bridal shower attire on its head. Choose an asymmetrical jumpsuit from Bloomies for a really unique look. Add your own personal flair to the look by pairing the charming Eloise sash, crystal bracelet and Sacha earrings. Make this elegant jumpsuit from Neiman Marucs your own by pairing it with the extremely bold Indie neckalce and matching feathered hairpin. Finally, for a more effortless look, a stunning long dress with bohemian accessories will have you looking gorgeous while still being comfortable! Delicate tiaras, leafy crowns, layered necklaces and feathered hair pieces, yes, please! Free People’s Love Spell lace maxi is the epitome of effortless. With the Laurel leafy crown, long draping earrings and a subtle belt to bring in the waist will have you looking like a true bohemian goddess. Our intricate Thora crown matches perfectly with the Love to Love You Cutwork Dress by Free People. Matching gold earrings, choker and/or bracelet will pull the entire look together. Intricate lace in the Cherie Bodycon Dress from Free People, exquisite Finley earrings, and a beautiful tiara make for the perfect look for any bohemian bride. Whichever look you are going for, these amazing accessories and style tips for What to Wear for Your Bridal Shower will have you looking and feeling your best! You found your person, the one, your best friend, your soulmate. Congratulations! Our hearts go searching for its other half without us even knowing it and sometimes when we find that other piece, it takes us by surprise. You are probably filled with emotion right now; excitement, love, and maybe a little bit of nerves. Don’t worry, nervousness is normal. Its really just excitement tricking you! So, you’ve made up your mind, you are going to ask your love to marry you! Well, thats the pre-step to the 7-steps to plan the perfect proposal. Hooray! You already completed this pre-step and now can jump right into planning an epic proposal that will be sure to have your love excitedly saying Yes! Get the Ring –Get the ring that will melt their heart. 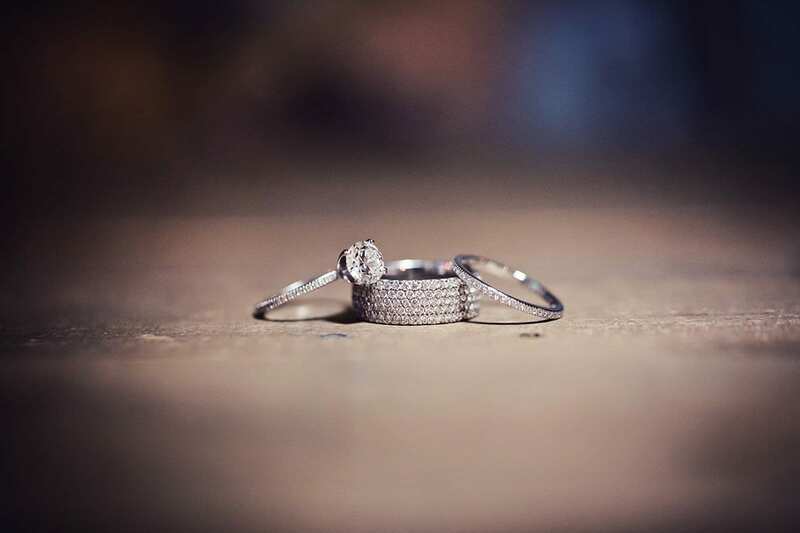 The one they may have been looking at on Pintrest, the one you browsed by a few moments longer at the jeweler or the heirloom ring that has been in your family for ages. The ring is a symbol of your love and commitment to each other and if you need help in selecting one, ask a friend or family member to help you choose the perfect setting. Pro Tip – Leave the ring with the jeweler until proposal day to be sure its not found or seen before you pop the question! Ask for Help – You may need help in pulling off your surprise proposal, coming up with unique ideas and getting your love to the desired location. Solicit the help of a friend or proposal planner. A friend can help distract them if needed and a proposal planner can help you pull off an epic proposal that is sure to surprise your love. Pro Tip – Ask a friend to suggest a mani-pedi date with your fiancé-to-be so that their picture ready for proposal day. Pick the Perfect Setting –AKA “The How” This is a big step and one you will want to think heavily about when planning your proposal. You’ll want to choose the ambiance/setting that is a good reflection of your love story thus far. Do you travel often together? Do you share a love of astronomy or jazz music? Think about what makes your relationship unique and add those elements into your proposal. Choose an ambiance that is fitting for how you want to ask. Would you like an intimate affair over-looking the city with a candle-lit dinner for two? Or go big with a show-stopping, crowd-encircling proposal with music and fireworks? Do you want your family and friends to be there when you ask or afterwards at a secondary surprise location? Either way, intimate or grandeur, be sure to make it special by adding elements that represent your love for each other. Pro Tip – Write down a list of places you’ve mentioned wanting to go (near and far), places you frequent often and adore, how you met, things that you both have in common, and things that your fiance-to-be loves to do. This should help get the ideas flowing! Select the Time & Location – Now you know “The How,” you’ve chosen the perfect way to ask the big question. Now you need to select when and where you are going to get down on one knee! If you want an intimate affair, this could be at your home, favorite date night spot, on a hiking trip to the top of a mountain, in a quiet park, or over a romantic dinner for two. If you’re going for a grand affair, this could be in the middle of a city park, in a favorite museum, at an event (gala, concert, etc) or even in the middle of the street! You’ll want to choose a location in advance and reserve that area if possible. Check to make sure the space is available at the day and time you prefer. Event spaces, restaurants, and parks frequently have large events that take over the entire space – be sure to check to see whats going on that day if you are popping the question in a public area. Pro Tip – Choose a time with good daylight (earlier in the Winter) so you can capture this moment on camera. Also, think about the amount of family/friends you want present – can the space hold everyone you want to be in attendance? Keep the Secret – This is the hard one! Tell as few people as possible so that it doesn’t slip in casual conversation. Try to stay calm leading up to proposal day and don’t mention anything about proposal day being any different from any other day. Unless you are traveling somewhere exclusive that they know about, try to not over-talk about the date you set. Cool, calm casual = perfect surprise proposal! Pro Tip – If you get nervous easily or have a hard time not giving away surprises – have your loved one meet you at the proposal location instead of you traveling there together. Capture the Moment – For the love of memories, and social media of course, you’ll want this perfect moment captured on camera! You’ll be able to capture the best day yet, when your love said yes! These photos end up being fun recollections of that day and all of the emotions that lead up to it. You’ll be able to share these photos with loved ones that weren’t there for the proposal and possibly even use them as your Save the Date cards for the wedding! Ask a friend to stand by in an inconspicuous location to get it on film or hire a photographer to capture the moment with high quality photos! Pro Tip – Go with a pro! Proposal photography packages are typically inexpensive, they will capture the ask and will take a few shots of you two together afterwards for some really cute memorable photos. They will carry the right equipment and will scope the scene in advance for the perfect discrete location. Pro Tip – When saying a little something special, keep it short and sweet before kneeling. They’ll get the hint once you are down on a bended knee! I suggest leaving the ring in the box so that there is no room for a fumble! You now have everything you need to start planning the perfect proposal. It’s going to memorable and amazing. Pop the question then pop some bubbly! Cheers to you and yours! A love for organization and details is what Wedicity is all about! 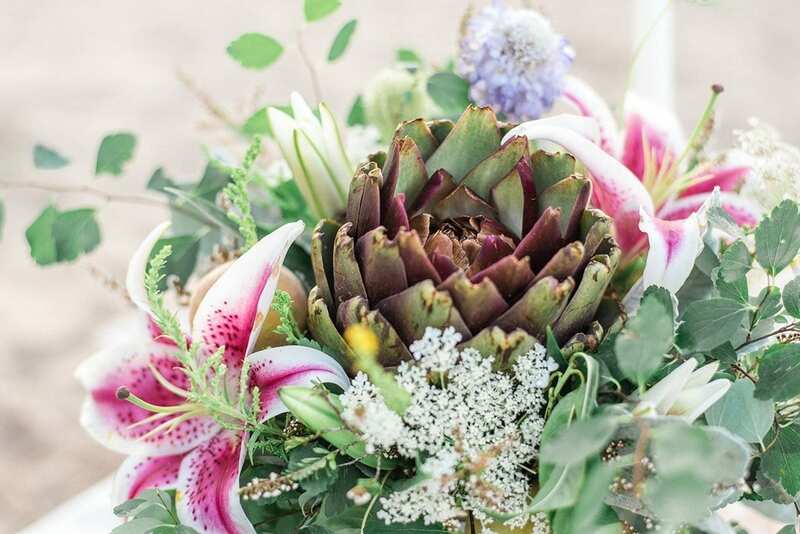 We love the details, so you can love your wedding day! Tionna is a wedding & proposal planner in Chicago, IL. With over a decade of experience, she brings love stories to life from the proposal to wedding day, allowing couples and their families to enjoy it stress free. Tionna is a lover of wine, chocolate, inspirational quotes, puppies, running, big laughs, warm coffee and all things details! 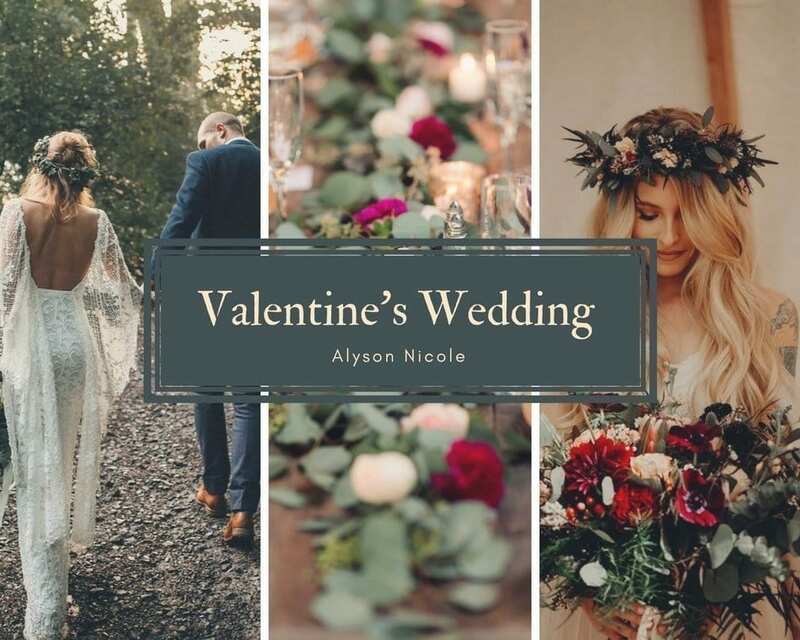 I am so excited to be guest blogging on Alyson’s blog! I am a photographer, and I love all things weddings & events. Today I will discussing wedding day timelines. Being a photographer my main concern with the timeline is ensuring we have ample time to get the photos of the day but in order for this to happen seamlessly the whole day needs to go smoothly. Generally, I photograph things as they happen but there are a few exceptions that must be accounted for in the wedding day timeline. Wedding day timelines have a lot of benefits and purposes. Wedding day timelines are a good basis for the wedding day; setting a pace for the day and keeping things on track. It also sets clear expectations, allowing family and friends to know when they need to be where (for photos, transportation, etc.). A few tips for your wedding day timeline. Start with the meat and potatoes (my husband always uses that phrase!). What time does your ceremony start? What time does it end? Is there a cocktail hour, if so, what time? What time does your reception start? What time does your reception end? Get those into the wedding day timeline because those are the core of the wedding day. Think about transportation, how long will it take to get from the getting ready site to the ceremony site, and from ceremony to the reception? Make sure you leave margin for travel time. Time of day, week day/weekend, Holiday Season, traffic from vacationers, all this plays a part in your travel time. Try to leave extra time in case the unexpected comes up! Start adding in vendors. What time is the makeup artist arriving? How long did they tell you it would take? What time is the photographer arriving? When is the cake being dropped off? When will flowers be delivered? You’ll see below, this is a wedding day timeline from a recent wedding I shot. The bride was working with a planner, who did an amazing job, and then the bride and I worked together to add in the allotted time for the photos. For this wedding, the planner’s wedding day timeline (not included) is much more detailed than mine because they note things like prelude music, lining up the bridal party for the ceremony, final walk through of reception space, etc. (You can include these too!! Details, details, details). For my clients, I prefer to arrive about 30 minutes prior to bride putting on her dress. This allows me to get detail shots (about 15 minutes) and some getting ready photos before the bride puts on her dress. I LOVE capturing my clients when they put their dress on. It’s such a special moment. You’ll notice that there are specific times for certain photos. For this wedding I had a second photographer with me, so we were able to do bride photos and groom photos during the getting ready. At 2:30 we scheduled ALL family photos at the church after the ceremony-the bride let everyone know prior to the ceremony which was super helpful because then we could dive right into the different family groupings after the ceremony before anyone departed. Having a wedding day timeline of the reception not only keeps the pace of the event, but also allows all your vendors to know what to expect. For this wedding, I knew running to the washroom at 7:15 wouldn’t work, so I could plan accordingly. If you have specific wedding day timeline questions comment below and I’ll happily help where I can! Or shoot me an email. I am Katy Murray. I am a red head, a believer and a wife. I don’t laugh out loud during movies, even when I find them funny (Ask my husband and close friends). I tend to plan, too often. I like routine. I am more a pessimist than a optimist. I’m learning to fully trust God and his plan for me. I dream, way too much.